Prepare to lay programs and fellow gamers to waste with the precision of a Lightcycle carving a jetwall. From the rez and derez lighting effects during startup and shutdown to the smooth black finish of the Hyperesponse keys, the backlit TRON Gaming Keyboard Designed by Razer is exactly what you need to dominate the Game Grid. 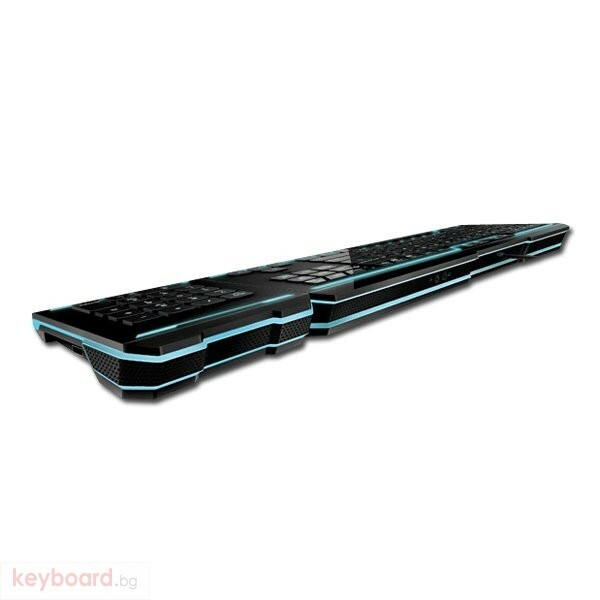 A detachable modular keypad, lighting effects triggered by in-game alerts, and fully programmable keys with macro capabilities almost turn this keyboard into a Recognizer capturing you in the TRON universe.